Following the success of The Sackville All Star Christmas Record, there was a resurgence of great jazz Christmas albums being produced. 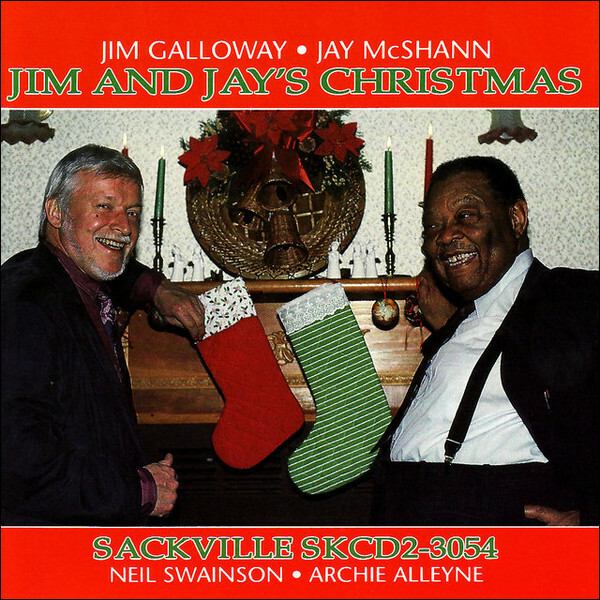 After playing on that record, Jim Galloway returns with his saxophone, while Jay McShann comprises the other half of Jim & Jay. The two worked magic on this record backed by Neil Swainson and Archie Alleyne, who played bass and drums respectively.? Christmas albums were out of style for jazz primarily because so many traditional carols are too structured, and their rigidity makes them ill-suited for easy jazz arrangements but these artists worked together to find some truly standout songs to record and truly make their own in a distinctly jazz tradition.